Rally your troops and march your army across the fields of battle. Topple the opposing army's trenches, towers, and bunkers and bring your heroes to glory! The count down to defeat is here! Throw your army into the grinder and see if the numbers add up. Will you be victorious or will your men be overwhelmed by the red menace. As long as people keep dying, zombies will always be a threat. Spread your plague to the farthest corners of the Earth and watch the world of the living crumble and burn. This is war, card wars! Red vs Black, hearts vs spades. The lines have been drawn and now its time to march over them and level up! Take down your opponents and take over the world. Build Rome in one long never ending campaign. Upgrade your warriors and strike hard against the competing armies. Choose your minions and unleash them on the unsuspecting snake army! Arm your troops and upgrade your tactics, weapons and spells as you take on and take down the slithery snake lord! Gear up for some of the most intense anti terror offensives ever! Form squads, upgrade weapons, make a plan of attack and sneak behind enemy lines and get gory! Grow and command your own crystal army! Strategically deploy troops and battle for territory in this fantasy base defense and campaign oriented war game! Call on air bombardments to eliminate all the aliens throughout 30 missions. The war with the robots is never ending. Build yourself an empire of mean murdering machines and destroy the opposing psycho bots before they get you. Scarecrows, jack o lanterns, magic. Whatever it takes! Stop these black as night ravens from invading and destroying! Upgrade, strategize and destroy! These feathered beasts are no friends. Explode your way through waves of flesh eating zombies! Upgrade your flaming pumpkin cannon, purchase more weapons, rescue innocent humans and stop this evil menace in their tracks! Explode the bridge, stop that convoy! Sink tanks, troops and trucks with some well placed dynamite. Defend your island paradise and build a mighty nation. Upgrade from mud huts and catapults to condo's and jet fighters. Stop all attackers and call down the wrath of god to get the job done. Take to the skies for high flying strategy, battle and territory wars! Build your army, keep them upgraded and fight for the good guys with squadrons of bombers and fighters that you keep in the air. They're all around you! Build more towers arm them, upgrade, heal. Don't let the invading armies get the best of you now or ever! 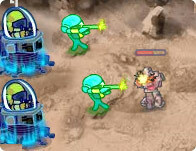 Shoot back waves of enemies or be destroyed! Dodge depth charges and watch your fuel. Stay below sonar and blast enemy ships as they roll by! Save for upgrades and turn your sub into a mean missile firing machine! March your troops to the top of the world. Build your army, upgrade your armor, weapons and defense. Sustain your economy and dabble in magic while you campaign across this great land defeating foes! Command a legion of history's most vicious warriors and lead them to a hard fought and brutally earned victory. Grow your planet, Protect your planet and prosper against all odds. A real time strategy game with a helicopter twist. Build and grow units to fend off against threats which wish to destroy you. You can't burn down the world with out scorching the sky. Return to the post apocalypse with Scorched Sky 2. More missions, more bad guys, more upgrades and more war then ever before! Strategically place dynamite sticks to demolish redundant buildings throughout five different cities. Begin your snow ball assault against Penguins, eskimo's and polar bears. Raise a mighty army and build a flawless defense in order to defend your igloo and crush theirs!